Connect the P-L496G-CELL01 Discovery Pack to Ubidots with 2G/3G cellular connectivity. 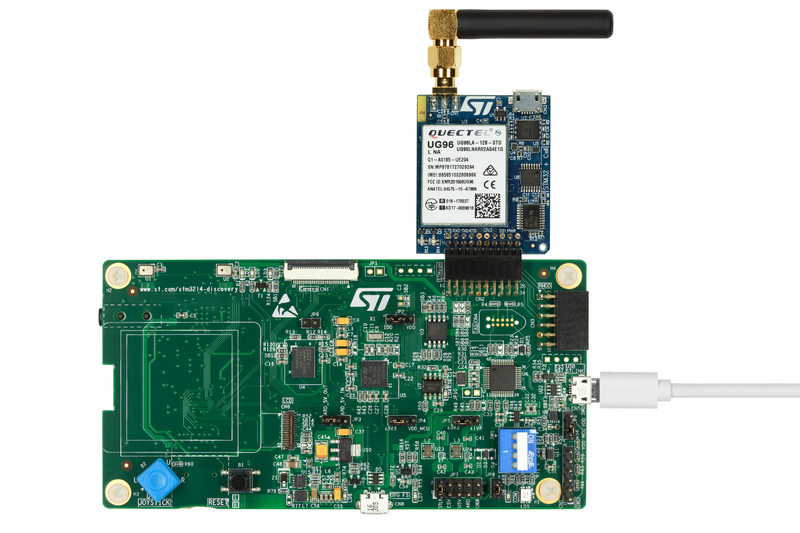 The STM32 Discovery pack (P-L496G-CELL01) is an STM32L496AG I6-based low-power Discovery mother board and an STMod+ Cellular 2G/3G worldwide expansion board with antenna. Following this guide you will be able to program the P-L496G-CELL01 Discovery Pack to connect with Ubidots. IMPORTANT NOTE: Reference the official documentation for a detailed technical review of the P-L496G-CELL01 device. 1. Insert an activated SIM card into the cellular add-on board. NOTE: To avoid future connectivity issues we recommend verifing if the SIM card inserted is already unlocked in the region where it will be operating. 4. Connect the STM32 Discovery base board to a PC using CN5(STLink) USB connector (also to power the board). The LEDs LD5 (PWR) and LD8 (COM) should be illuminated. Open any terminal emulator (communications) program based on the OS of the PC used to establish the serial communication with the STM32 Discovery Pack. Programs like TeraTerm & Cutecom. Establish the communication with the board choosing the right USB COM port and configured to 9600 bps, 8, N, 1. Follow the steps shown in the terminal to add the board to the STM32 Dashboard. NOTE: If you are working with Windows make sure the ST Link USB drivers are installed on the PC. 1. Once the board is added to the STM32 Dashboard, scroll down until you find "Precompiled Demos Repositories"
2. Then find "Cellular to Ubidots Cloud Demos" and download the .zip file pressing the respective download button. NOTE: This guide is going to provided all the steps required to integrate the board with Ubidots. To avoid errors, it is advisable to read and become familiar with "What these JS file do" and "readme-CellularToUbidotsCloud." which are included in the zip file that is downloaded when you press the "Precompiled Demos Repositories". 4. To avoid issues with the firewall, the *.JS file in this zip have been renamed as *_JS.txt. Please rename them back to the .js extension before using them with Espruino JS Engine. 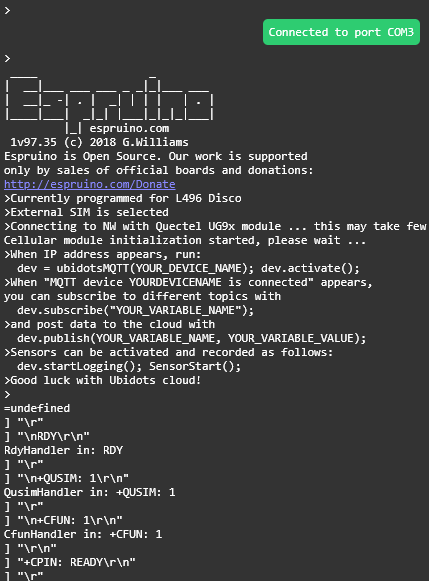 ubidots_MQTT_w_sensors_JS.txt (rename as ubidots_MQTT_w_sensors.js) : This is a demo where a value can be reported and mapped to a resource in the Cloud. The same resource can be read from the Cloud. Further, subscription and callback can be registered when cloud updates the resource. If the environmental sensors board is connected, user can launch periodical report of their values to his profile. ubidots_REST_w_sensors_JS.txt (rename as ubidots_REST_w_sensors.js) : This is a demo where a value can be reported and mapped to a resource in the Cloud. The same resource can be read from the Cloud. If the environmental sensors board is connected, user can launch periodical report of their values to his profile. 1. 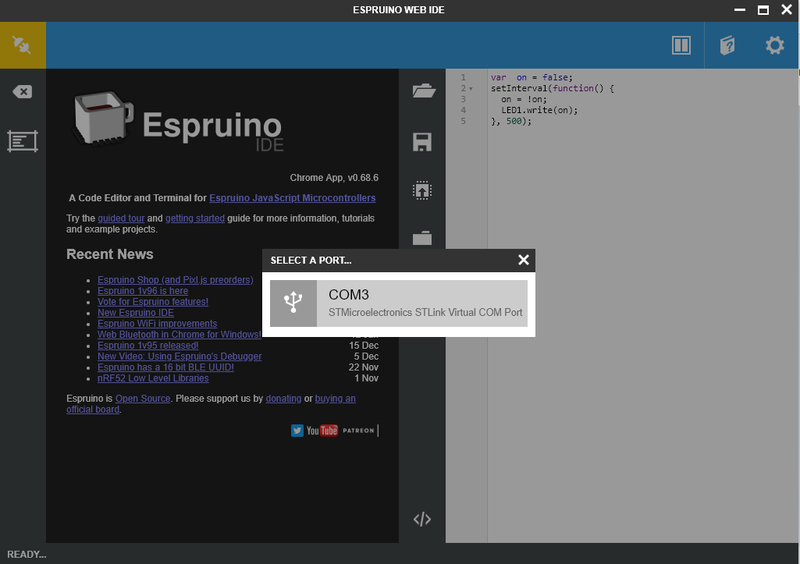 Download or open the Espruino Web IDE if you already don't have it. Where 1v97.35 is the latest version (as of this articles publication), but can be more recent. Open Windows File Explorer and make sure the discovery board is present as a drive with volume name "DIS_L496ZG". Get the BIN file previously downloaded and drag and drop it on to the volume name. 4. Once the firmware is updated properly into the board. 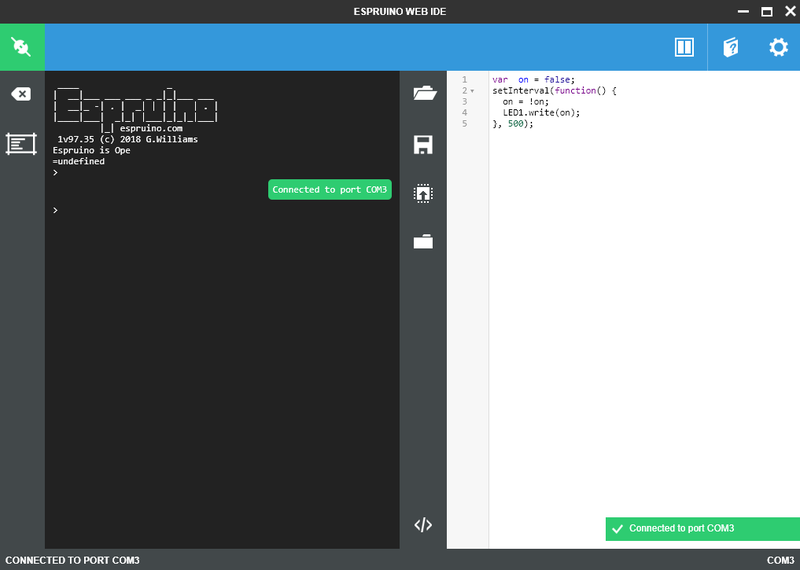 Open the Espruino Web IDE and assign a SandBox if you don't already have it. To select the folder SandBox go to Settings > Project and assign the folder desired. The SandBox is in charge of handling and loading all the requirements of the program, such as modules, firmwares, binary files, etc. This process is going to take a couple of minutes so please be patient. When complete you will find the response lines: "Good luck with Ubidots cloud!" at the bottom of of the connection process. Once an IP address is allocated, your "modem is ready to use." Now it's time to start your App Development with Ubidots! 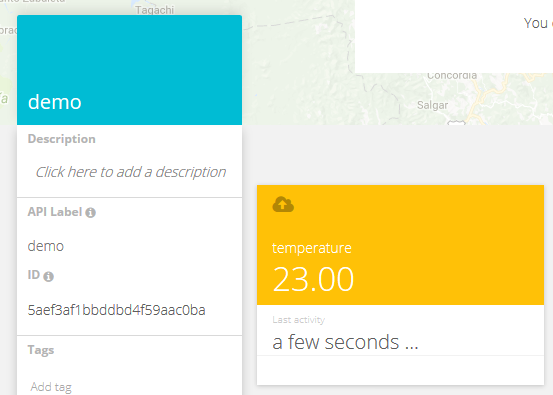 If you didn't notice, the first debug messages provided the initialization commands to handle data with Ubidots. 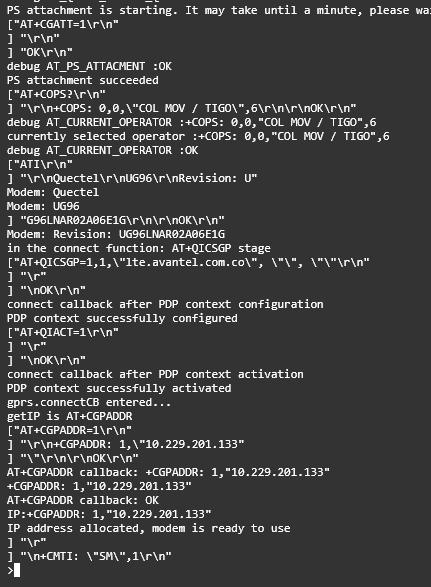 The "MQTT device YOUR_DEVICE_NAME is connected" shall appear on the screen. 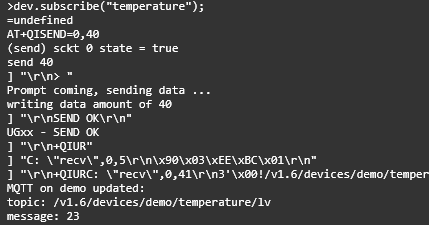 As you can see the message received is 23 which was the last value posted in the variable assigned to the command (temperature). Now its time to create Ubidots Dashboards to visualize and understand your data to make the best decisions, simply and coherently. 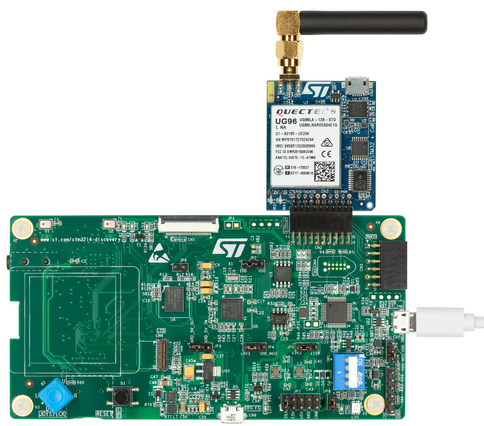 STMicroelectronics brings freedom and flexibility formass-market developers by configuring IoT devices working over 2G or 3G cellular connectivity or the coming soon LTE Cat M1/NB1 networks.